Woodlands are, for the most part, magical places. But sometimes their magic can also be enhanced by some carefully chosen artwork. Here are some of my favourites! 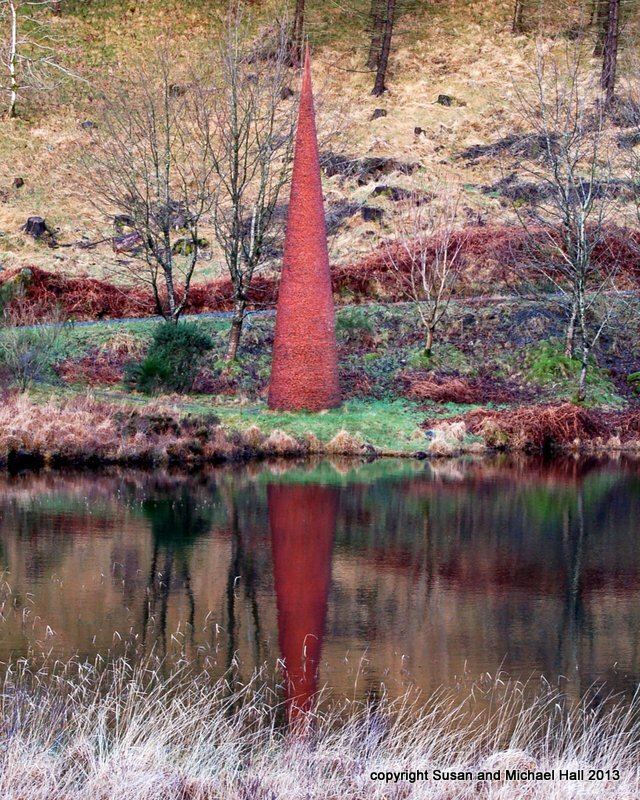 The Eye in Galloway Forest Park is a majestic, 8 metre high tower whose deep red colour is a vibrant addition to the surrounding forest. And on a calm day its reflection in the loch is something special. But The Eye has a secret – and you need to get close to it to see what it is! The Eye is just one of a series of sculptures in the Galloway Forest; there’s more information about them at this web site here, and for more information about the huge Galloway Forest see the VisitWoods website for Galloway Forest. 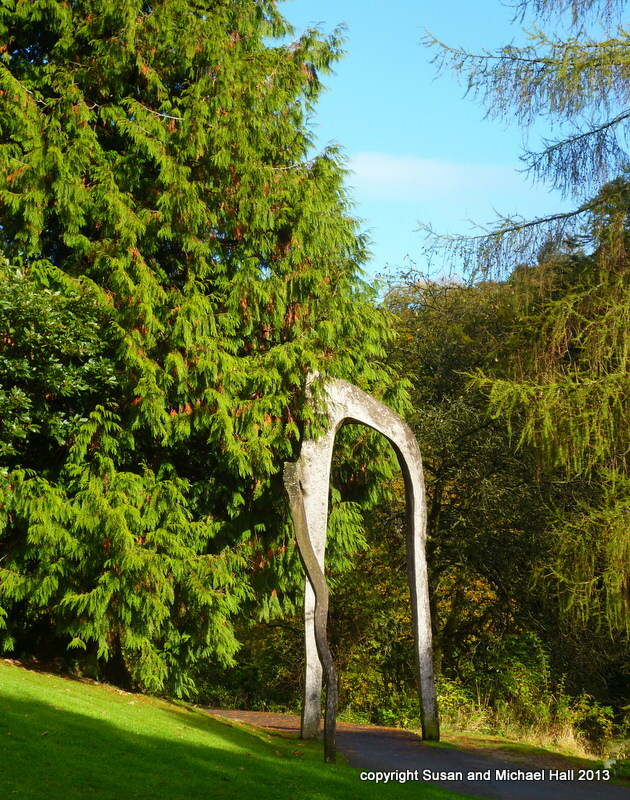 Grizedale Forest in the Lake District is home to over 60 sculptures throughout the forest, and makes a walk in the woods a real journey of discovery! The collection was started in the 1970s and can all be seen from the network of paths throughout the forest. But you need to keep your eyes open – blink, and you’ll miss some of the ‘keys in trees’ and the sensitively-sited smaller pieces. There’s a huge amount of information and some great photos on the Vistwoods website for Grizedale. Grizedale Forest is a wonderful backdrop for large (and small!) sculptures. Back in Dumfries and Galloway, the wonderful (well, IMHO!) 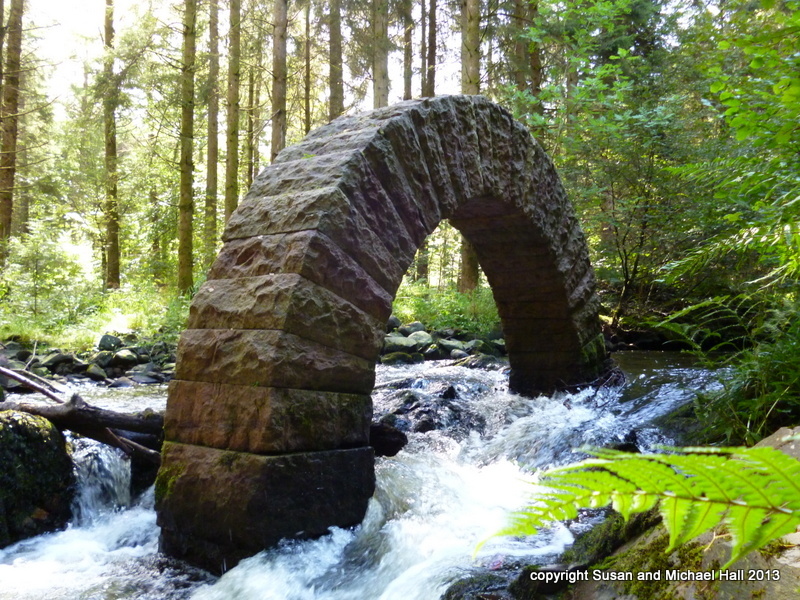 Andy Goldsworthy has made his mark on the local countryside through his Striding Arches which sit high on the Nithsdale skyline. 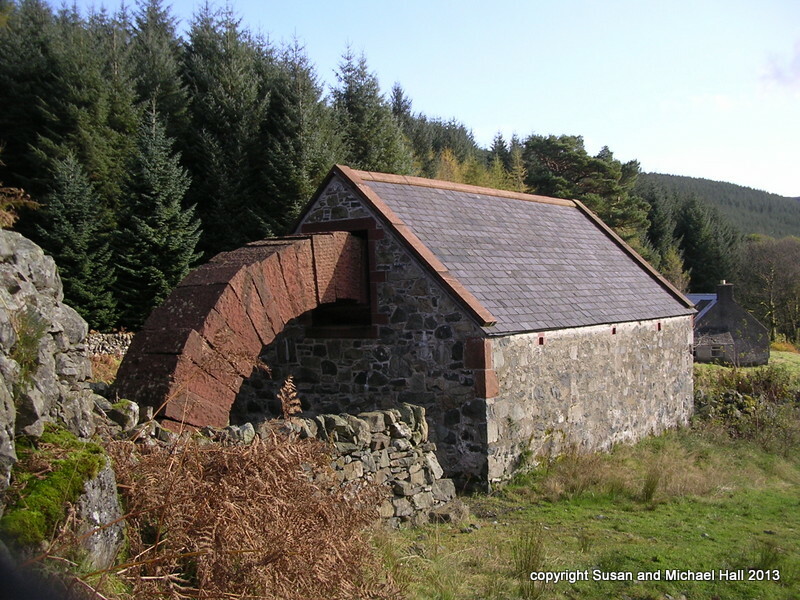 But, tucked away in a 100 year old stone farm building in the Cairnhead Forest is the amazing Arch in the Byre. Half in and half out of the Byre, this Arch aims to interpret the local landscape and its history. Near the Byre, the names of farming families who lived at the Byre have been carved into a stone bench. The old, local names of the region are carved into the entrance way to the Byre. The Cairnhead Forest is a beautiful woodland in its own right, and the Arches add a real sense of wonderment to the area. Information about the Striding Arches can be found here. And finally, a gentle stroll through the woodlands at Drumlanrig Castle in Dumfries and Galloway has its own little secret – its own little arch! We stumbled on this whilst exploring the less frequented paths along the Marr Burn. There’s more information about Drumlanrig’s woods here, too. Personally, I think the most magical artworks are those you ‘discover’ for yourself in the woods, although all the ones I’ve talked about here are pretty awesome! What are your favourite woodland arts?